Not that long ago, I used to develop my own film and make my own black and white prints, which I absolutely loved to do! I think I still have an enlarger around somewhere. It was messy but fun, and the process was something akin to magic. To attain a similar look with digital, Nik Silver Efex Pro works beautifully, giving the photographer multiple options for fine tuning. It's almost like being in the darkroom again! 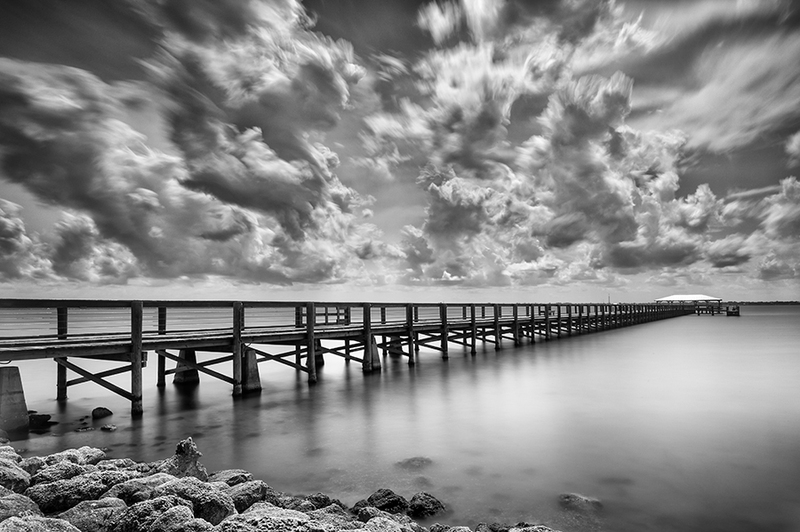 The pier photo above was created by using a long exposure which gives a sense of motion to the clouds, yet creates a mirror-like sheen on the water. For this image, I wanted the photo to rely on the texture and tones to communicate the story of a developing storm. Taking away the color redefines reality, creating a timeless look for your imagery. Enjoy the last days of summer.